Avi Israeli represents corporate, financial, and individual clients in complex commercial disputes concerning contracts, securities, financial instruments, business torts, and bankruptcy in federal and state court litigation and arbitrations. With a particular focus on securities-related disputes and large-scale litigation, Avi has been at the forefront of a new breed of RMBS cases stemming from the collapse of the housing bubble. He has played a prominent role in several of the firm’s notable engagements, including the prosecution of a multitude of “putback” actions seeking to recoup billions of dollars in losses sustained by major financial institutions in connection with the residential mortgage crisis. He also recently served as lead trial counsel representing former directors of the now bankrupt Liquid Holdings Group in a securities fraud class action and other litigation. Avi has been recognized as a Future Star by Benchmark Litigation and was named to Benchmark’s first-ever Under 40 Hot List in 2016, which recognizes partners 40 or younger who are emerging leaders within their firms. Avi has made the list ever since, has been named a Rising Star by New York Metro Super Lawyers since 2014, and has been recognized as a Super Lawyer since 2016. 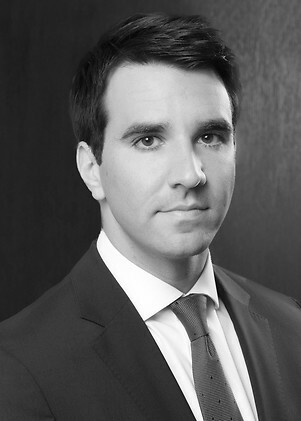 Most recently, he was named to the first-ever Euromoney Legal Media Group Rising Stars shortlist in the Best in Litigation: Securities category. Before joining Holwell Shuster & Goldberg, Avi was a litigation associate at Jones Day and at Kasowitz, Benson, Torres & Friedman, and clerked for the Honorable Marcia G. Cooke of the United States District Court for the Southern District of Florida, where he participated in the celebrated Jose Padilla trial. An avid musician, Avi has performed at iconic New York venues including Webster Hall, Le Poisson Rouge, and the Canal Room. He also ran and hosted Hip Hop Karaoke Miami, an offshoot of the popular New York competition showcased in various media outlets including Spin Magazine. Numerous directors of the now bankrupt Liquid Holdings Group in obtaining dismissal of all claims in a securities fraud class action and an adversary proceeding brought by the bankruptcy trustee. Currently representing certain directors in related litigation pending in Delaware Bankruptcy Court. HSBC and other bank trustees in multiple RMBS litigations, each with hundreds of millions of dollars at issue, arising out of the 2008 financial crisis. Facebook co-founder in obtaining a string of victories and grants of summary judgment in actions related to a dispute with an investment advisor and various guarantors arising out of investments in Facebook stock and securities. Camulos Capital, a U.S. hedge fund, in a variety of disputes, including those with a German gun manufacturer over a €100 million PIK loan, a departing partner with respect to his claim to amounts allegedly owed under the fund’s partnership agreement, and a German subsidiary of Lehman Brothers over a $100 million repo agreement. Microban Products Company in securing summary judgment awarding monetary damages and attorney’s fees, and granting a permanent injunction, in connection with trademark enforcement action brought in the Southern District of New York. Lime Group, LimeWire, and their founder in copyright infringement actions. Various companies in the Eurofins group, a publicly traded French conglomerate whose subsidiaries are engaged in, among other things, the biotechnology industry. Avi has represented Eurofins entities in disputes arising out of certain acquisitions and investments in the U.S., as well as in connection with certain products liability related suits. Comcast Corporation in an antitrust class action brought by a putative class of two million subscribers. MEGA Brands, Inc., a Canadian toy manufacturer, in a series of litigations arising out of MEGA Brands’ acquisition of Rose Art Industries, Inc. The representation included litigation with the sellers for claims of fraud, breach of contract, and earnout calculations.